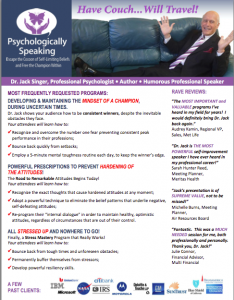 Are you interested in learning more about Dr. Jack Singer and hiring him to speak at your next event? Download his one sheets below. 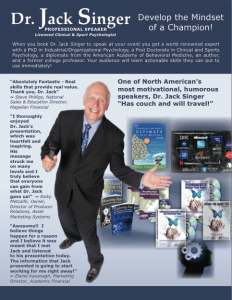 If you’re interested in hiring Dr. Jack to speak at your next event please click here.